What are your research interests? Investigation of the allied health workforce and innovative service delivery models as this is a priority area for the future development of health services available to people living in rural and remote areas. Specific research into dietetic clinical practice and related health outcomes including metabolic measures and body composition. Inter-professional and simulated student learning for students enrolled in health degree programs that prepare them for practice in rural and remote areas. Why did you get into research? Having spent most of my childhood in rural areas I was keen to work rurally and to have an opportunity to research rural health issues. After working in both metropolitan and rural areas I have seen first-hand the disparity between the two areas in terms of health workforce and resources. I appreciate the challenges of working rurally and understand the issues for the recruitment and retention of the rural workforce. What would be the ultimate goal for your research? By improving the rural and remote health workforce, my dream is that people living in rural and remote areas will have access to quality health services that better meets their needs. Associate Professor Brown's research focuses on the provision of best practice dietetics services for rural Australia. In 1994 she completed a Bachelor of Health Sciences (Nutrition and Dietetics) at the University of Newcastle, then worked in clinical dietetics in metropolitan hospitals for eight years. While working clinically she completed post-graduate certificates in sports nutrition and paediatric nutrition and dietetics. 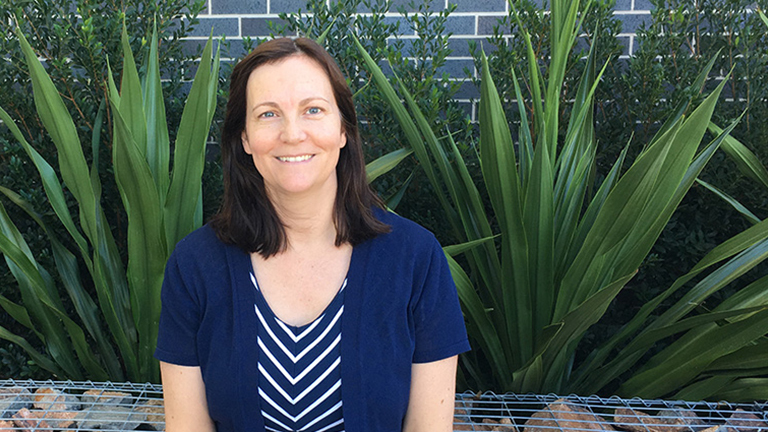 Following an appointment to the University of Newcastle Department of Rural Health in 2003, Associate Professor Brown commenced in an academic role and completed a PhD (Nutrition and Dietetics) in 2009. Associate Professor Brown has published numerous peer-reviewed articles in her field and has presented at many national and international conferences including the International Congress of Dietetics in 2008 and 2012. She has been awarded numerous university and national teaching and learning awards which complement her research work in investigating student learning in interprofessional and simulation education programs. I'm currently working towards furthering research into the use of innovative service delivery models and the use of technology to improve access to good nutrition and dietary advice in rural Australia.